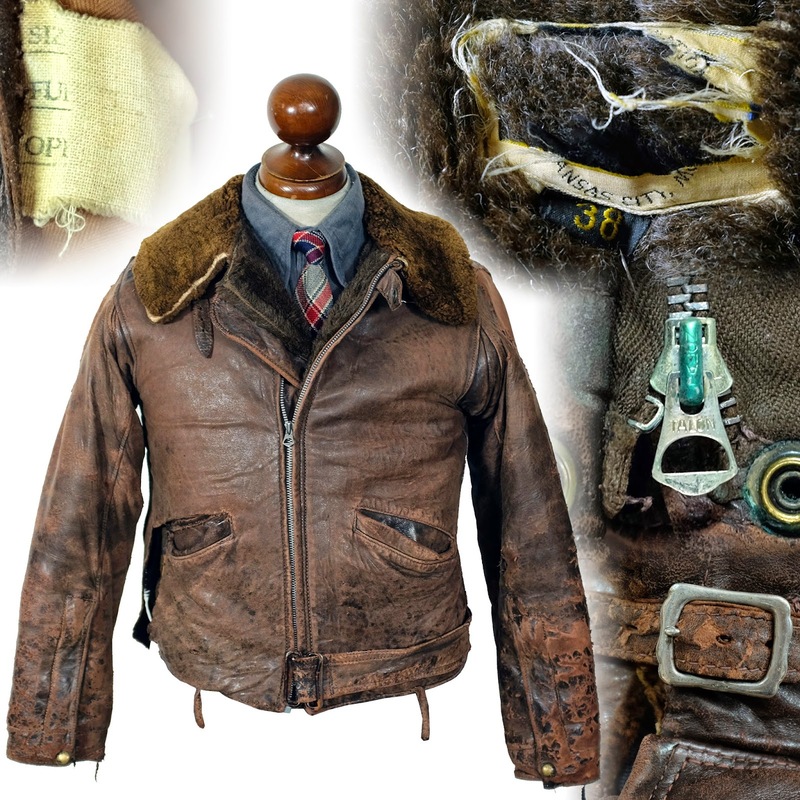 With the development of automobiles, motorcycles and airplanes around the turn of the last century, the leather jacket started its process of evolution into the styles we know today. However, early leather garments had their detractors, and it took time for them to be accepted into the mainstream. "A leather jacket and leather trousers are objectionable because the moisture from the body cannot escape, with the result that underclothing becomes dangeriously moist and disagreeable. Leather may, however, be used as a lining to cloth clothes, provided that it is bored with many small holes through which the moister of the body may evaporate. A suit of cloth lined with punctured chamois leather will be found agreeable for both winter and summer" - 1902, "Dress for Motoring"
"My motorcycling friends used to look on me as a bit of a faddist because I declined to wear leather clothing, twitting me because, as they alleged, I considered appearance before comfort. But, as the time passes, I observe that, one after another, they are dropping leather, and only the other day one of them, a confirmed 'leatherer,' carefully eyed me up and down and then asked if my own cloth suit was really waterproof, as he had heard me assert. After satisfying himself on this head and about its being windproff, he straightened himself out and said he would get one like it the very next week. Naturally, I was constrained to ask him why he was thus deserting the leather he used to love. 'Well, to tell the truth, old man, this kind of suit looks fit for a mechanic and nothing more, and I find that leather absorbs the rain almost as freely as ordinary tweed,' with which I agreed, for unless one pays a very big sum the leather is as absorbent as chamois leatherl so much 'skiver' (the under layer of skins) being used. We all know, too, how boots will soak up the wet and how long it takes to dry the moisture out of the leather. After all, there is nothing that looks nicer than a well made cloth suit; whilst, if it has undergone the special waterproofing method adopted by one or two motor tailos, rain need not be feared for an instant, and by the use of a wool lining and a suitable inter-lining, the suit will be both warm and windproof" - 1903 "The Motor"
"Until the advent of the Henriques models, garments of leather found little or no favor- the penalty, uncouthness and discomfort was too great. The soft, pliable Danish Leather allows a freedom of action which the hard, stiff domestic leathers restrain. . . The tailoring is of an exceptionally high grade, wholly foreign to the coats where are made in this country." - 1906, "Distinctive Automobile Garments & Requisites"